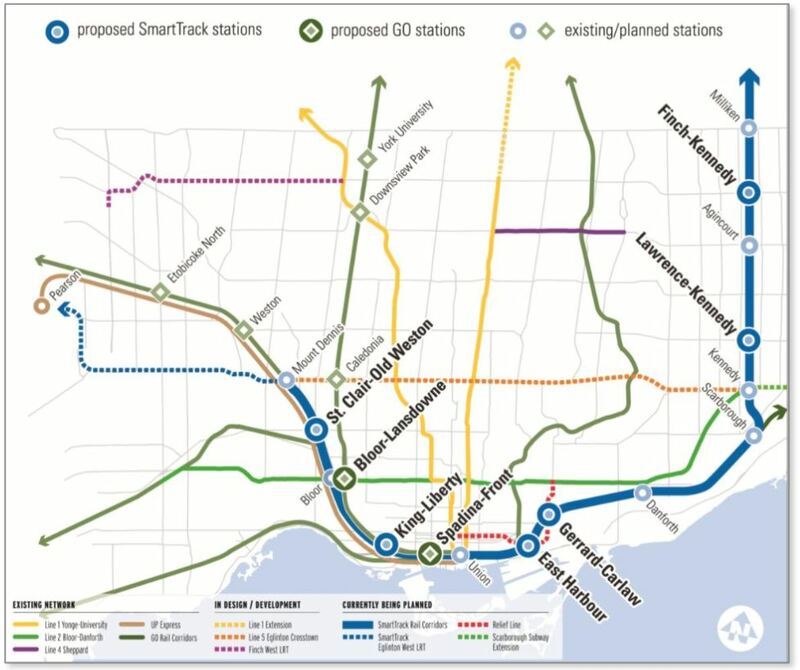 Who Will Pay For SmartTrack? Toronto’s Executive Committee will consider a series of reports on the proposed SmartTrack project and related matters at its meeting on Tuesday, April 17, 2018. 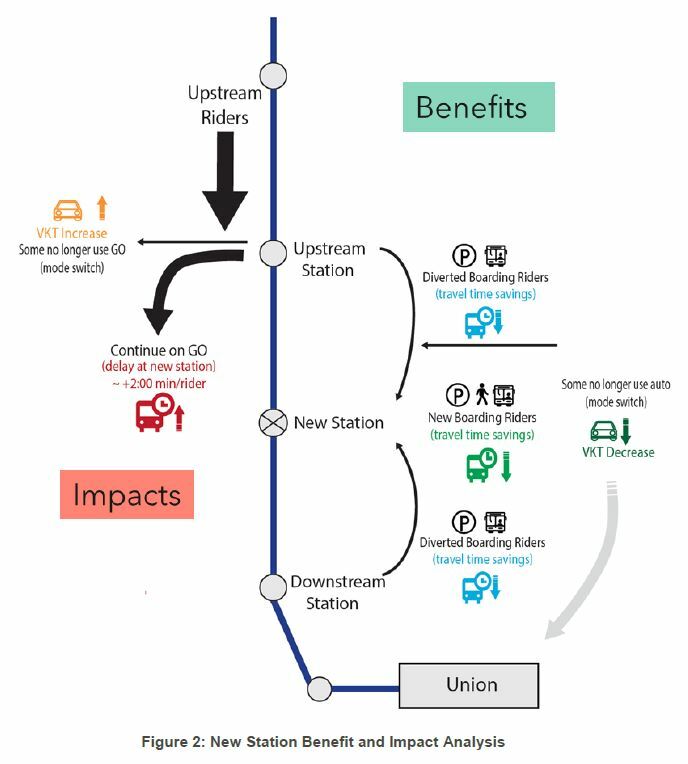 These reports set in motion several aspects of the GO/RER/ST program, although the primary focus is the funding the the new SmartTrack stations which is a city responsibility. This article deals with the main report and the first two attachments. Attachment 3 is a compilation of the information on the proposed new stations that has already been discussed in my previous articles on the public meetings. Attachment 4 explains the link between SmartTrack and plans for significant changes to the road network in the St. Clair, Keele, Old Weston Road area including widening of St. Clair through the railway underpass and extensions of various roads to fill gaps and provide additional paths for traffic flow. The new station at St. Clair and Old Weston/Keele would be constructed based on the new layout, and work on these projects will be co-ordinated. Attachment 5 was prepared by Metrolinx. It sets out the status of the many changes to various rail corridors that are within the City of Toronto. Attachment 6 illustrates the planned new south platforms and concourse at Union Station, an expansion project separate from the renovation of the existing station now underway. Of note in the design is the replacement of four tracks by two making room for a pair of much wider platforms than in the older part of the station. From a service design point of view, these tracks and platforms will likely be the new home for the Lakeshore services as this will allow them to operate along the south side of the rail corridors free of interference with traffic from the more northerly corridors like Milton/Kitchener/Barrie to the west and Richmond Hill/Stouffville to the east. The Eglinton West LRT which, having replaced a part of the original SmartTrack scheme, is still bound up with ST as part of the total budget number for this project. Operating and maintenance costs for GO/ST service. The cost to the city of “fare integration” or even exactly what this will mean. A further problem, as I discussed in a recent article, is that recent changes in the Metrolinx/GO service design for various corridors has changed the mix of local and express trains on which the SmartTrack scheme rests. 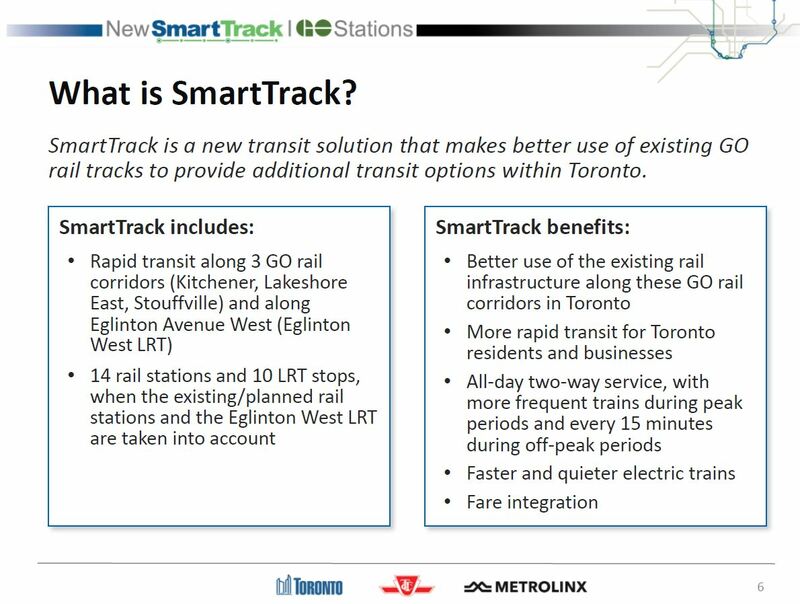 Metrolinx has still not explained how they will operate the number of trains the city report claims will stop at all of the “local” SmartTrack stations, and they are quite testy on the matter when pressed. For its part, the city assumes a service level (and hence attractiveness of service) greater than what Metrolinx has, so far, committed to operating. Six new GO/SmartTrack stations at Finch, Lawrence East, Gerrard/Carlaw, East Harbour, Liberty Village and St. Clair/Old Weston. Additional city requirements for station facilities that are not strictly required for operation of the transit service.